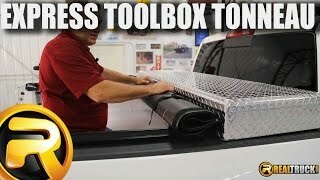 The Express Toolbox tonneau works with most 20" toolboxes while keeping the truck bed covered. The patented L-Channel bracket forms a weather-tight seal. This fills the gap to create a solid fit to keep the elements out. The self-adjusting tension system will ensure the tonneau cover stays tight in all climates. Just lock the rear rail in place, and the tension system does the rest. Heavy-duty, aluminum mounting rails come pre-drilled for quick clamp placement. No measuring needed, and the Allen key is included for clamp installation. The Express tonneau cover features tapered edges with dual weather seals to help prevent water and debris from entering the truck bed. They withstand hot climates and UV rays. The aluminum support bows are attached to the cover for optimum placement and fast, convenient storage when rolling the cover up or removing it from the bed. Extang took a lot of time and consideration before producing this cover. They understood that having a Truck Bed Cover on your truck should be a benefit not a hassle. So they constructed the?? Extang Express Toolbox cover to have an easy installation stylish looks and quick bed access. Now this cover is known as one of the quickest opening bed covers on the market. The Extang Express Toolbox Truck Bed Cover is a soft roll up Truck Bed Cover. It was designed to look good while also functioning even better. It features unique functionality an easy installation and is available at an affordable price. 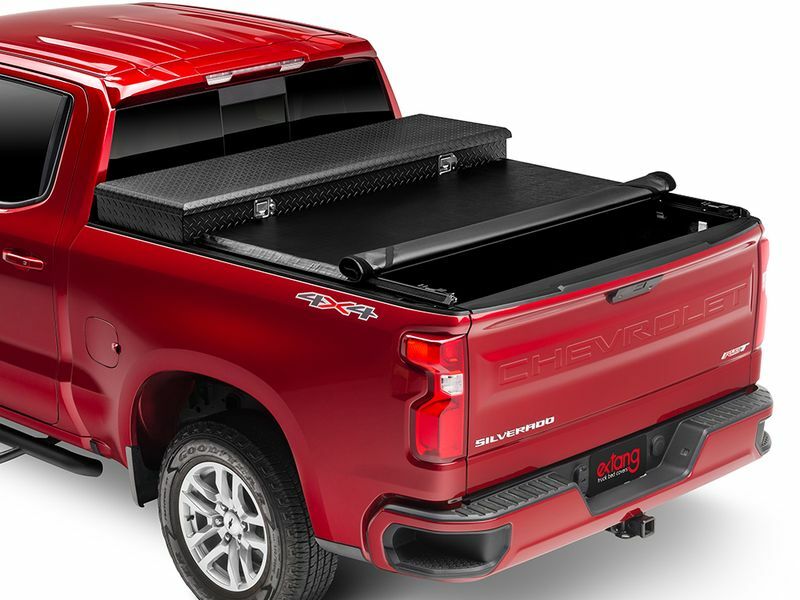 The Extang Express Toolbox Tonneau was made to offer you easy bed access. There are too many covers out there that would make a great truck accessory if you didn't have to fully remove the cover to access your cargo. The Express rolls up in a matter of seconds to provide you with instant bed access. The Extang Express Truck Bed Cover provides excellent security for your cargo against the weather and sneaky hands. It was built tough to withstand all the elements that come its way however you will obtain maximum security if you use a locking tailgate. 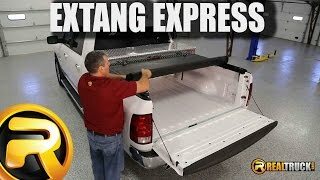 Extang designed the Express Tonneau to have a quick and simple installation. It requires no drilling and in most cases can be completed within 30 minutes. It has pre-drilled side rails for a simple no-measure placement and the self-adjusting tension control allows for a tight fitting cover. Extang backs the Express Truck Bed Cover with a lifetime warranty on the frame and a 10 year warranty on the vinyl cover. Protect your truck like a True American. The Express is constructed and produced right here in the greatest country on earth. God bless America. 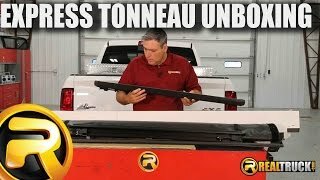 Each Extang Express Toolbox Tonneau Cover comes complete with installation instructions. The simple clamp on installation requires no tools and can be done in your driveway or garage. Plan about 15-30 minutes to install depending on your technical skill. For additional information please call us at 1-877-216-5446 or 701-253-5906.